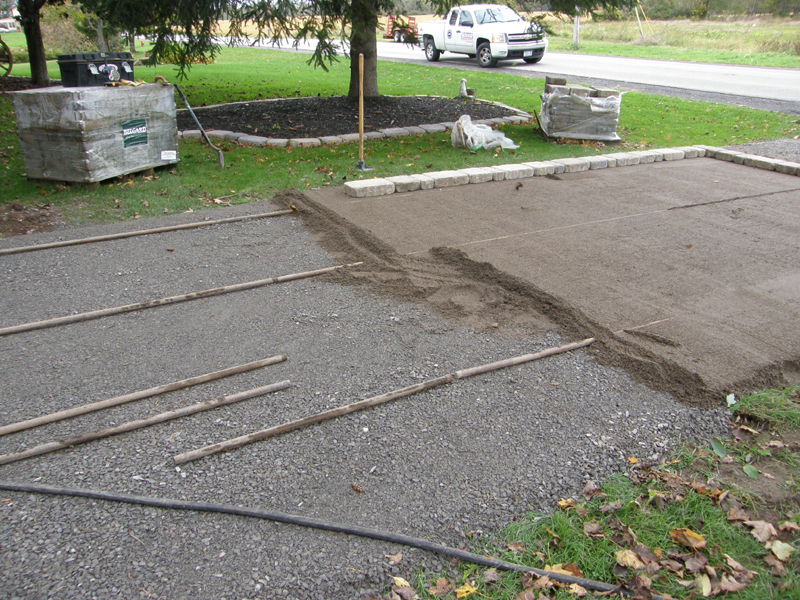 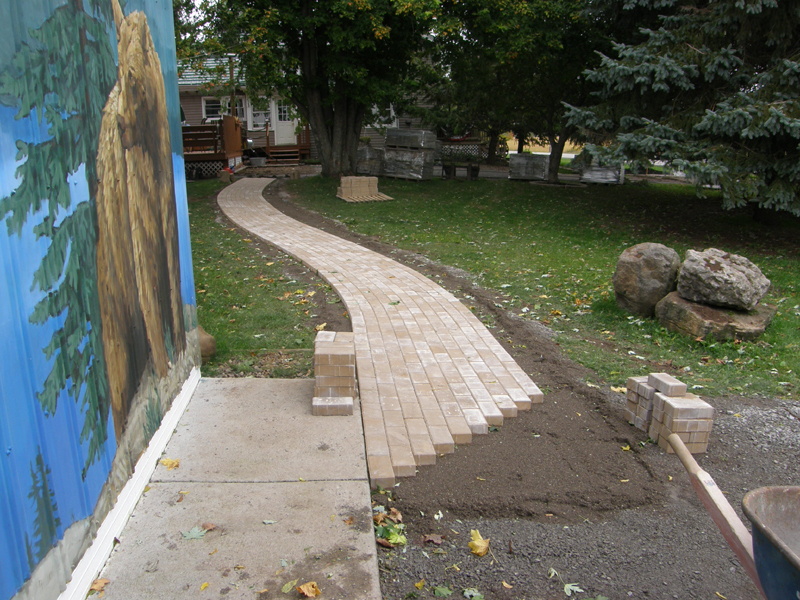 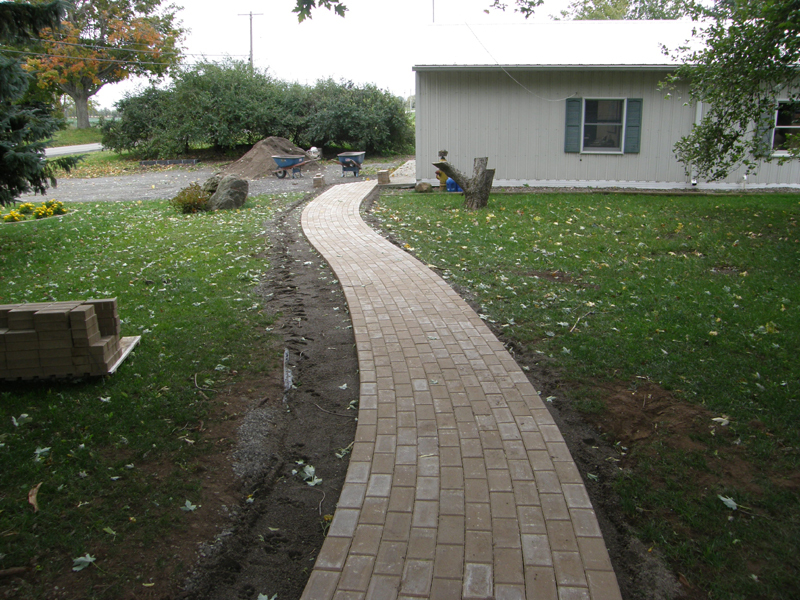 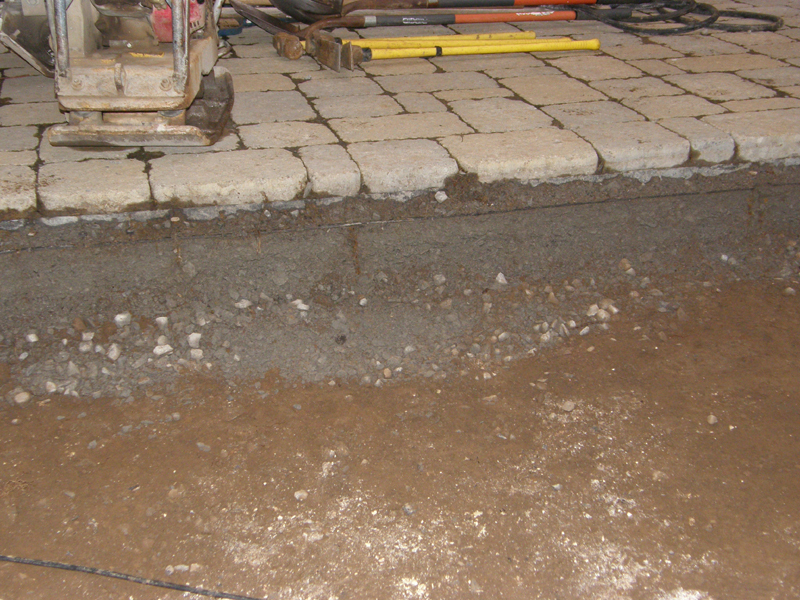 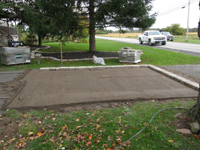 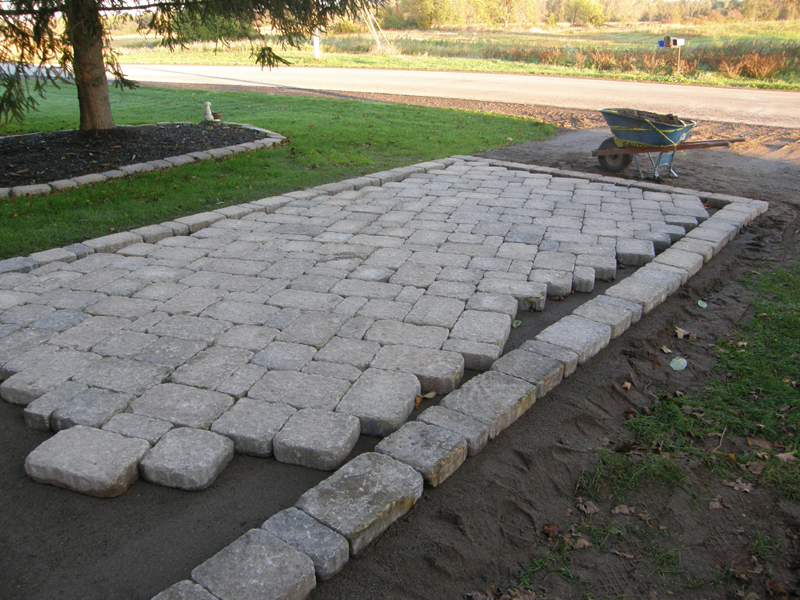 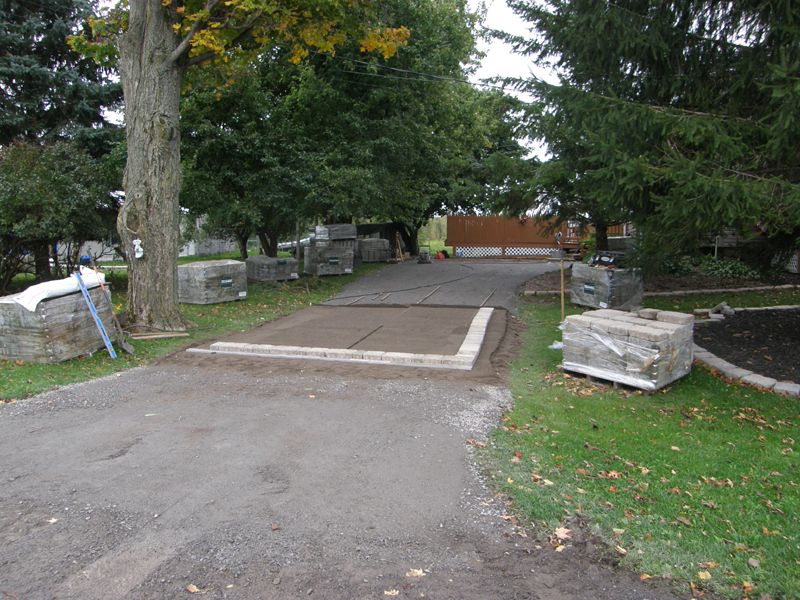 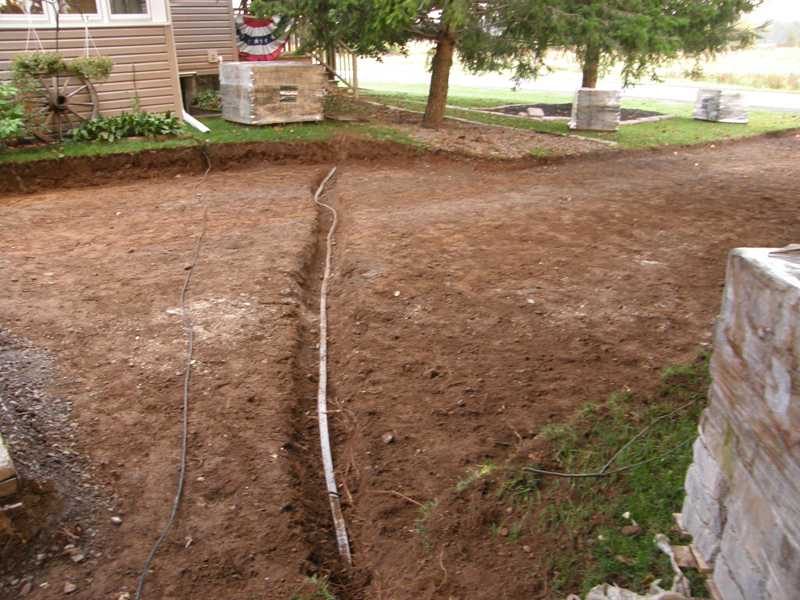 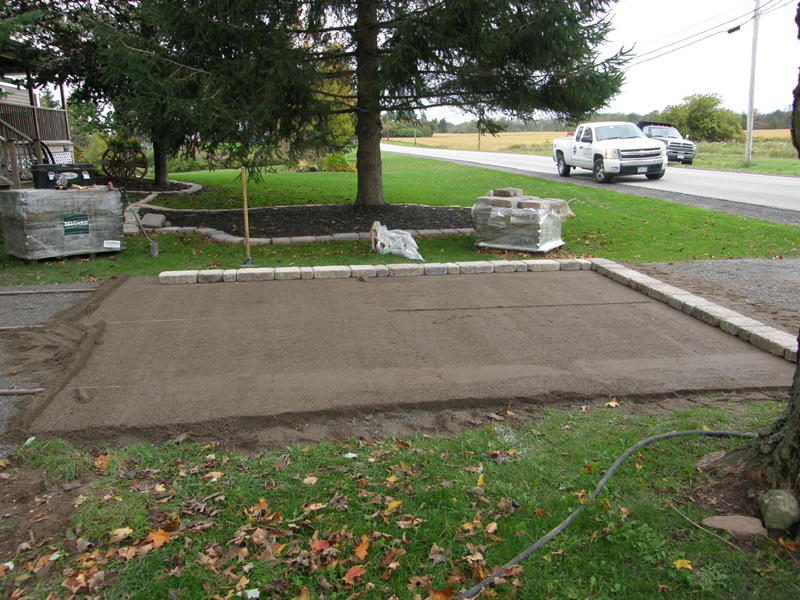 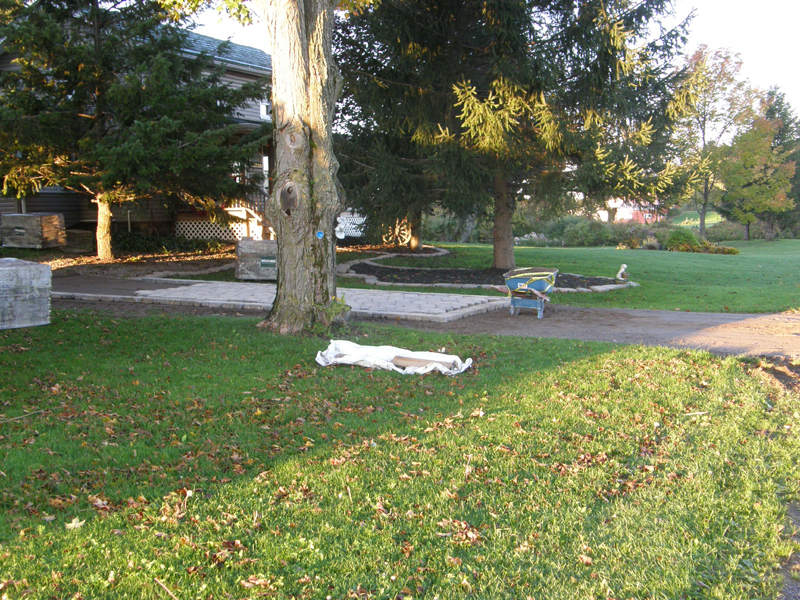 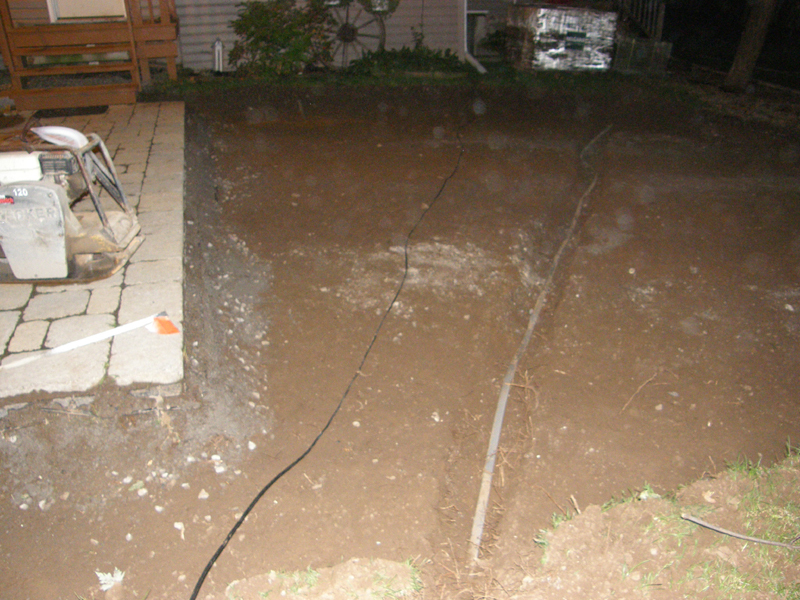 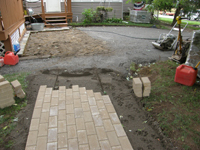 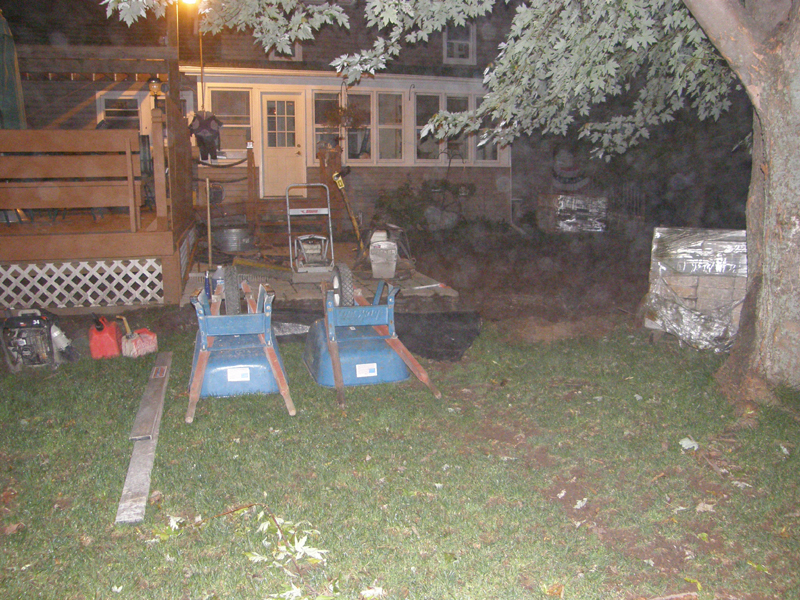 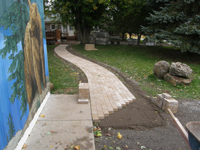 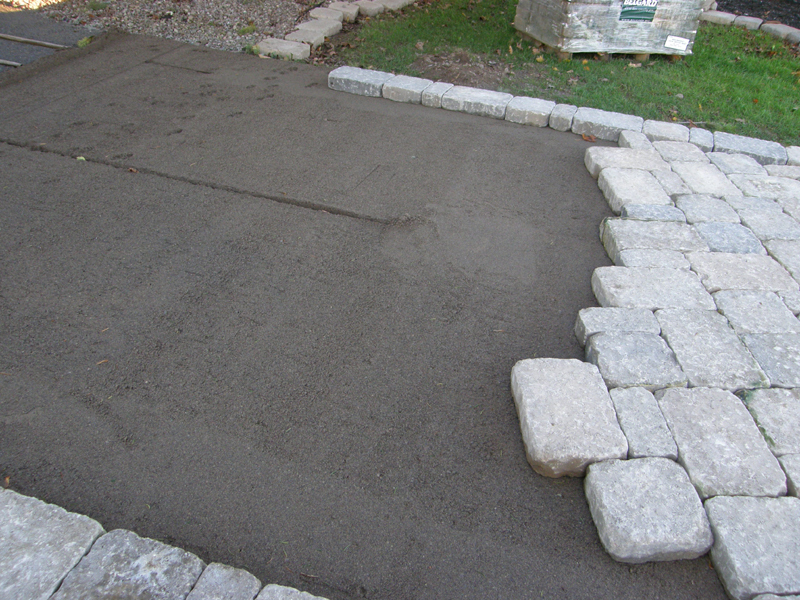 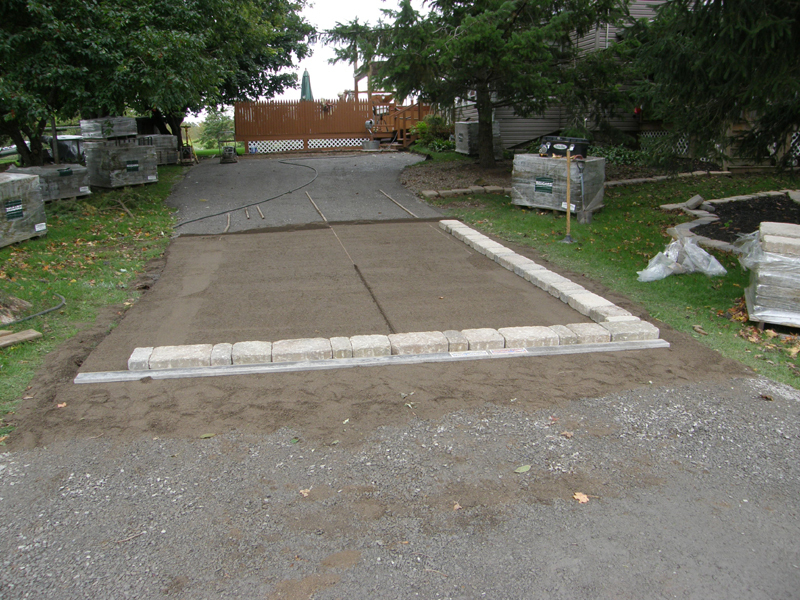 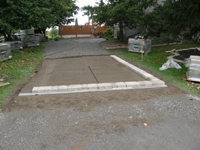 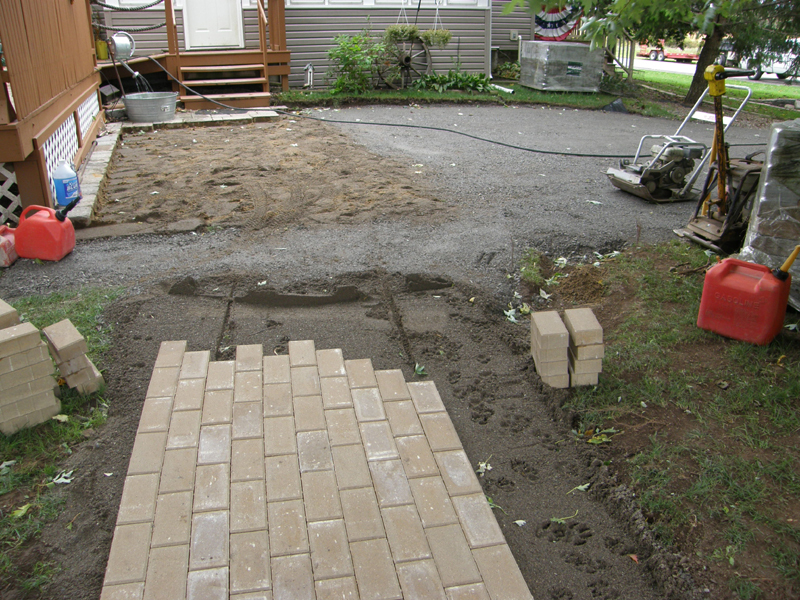 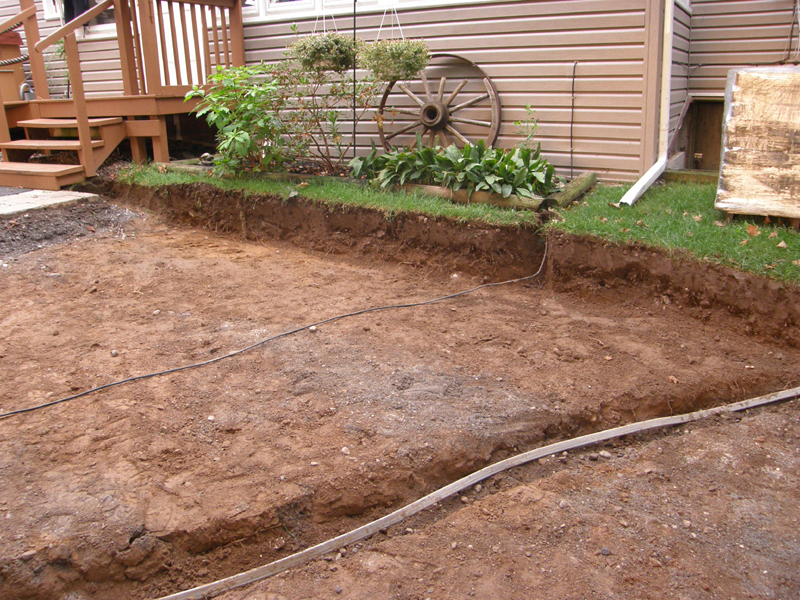 Jim only dreamed of having a paver driveway and now it's becoming his reality. 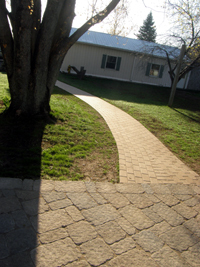 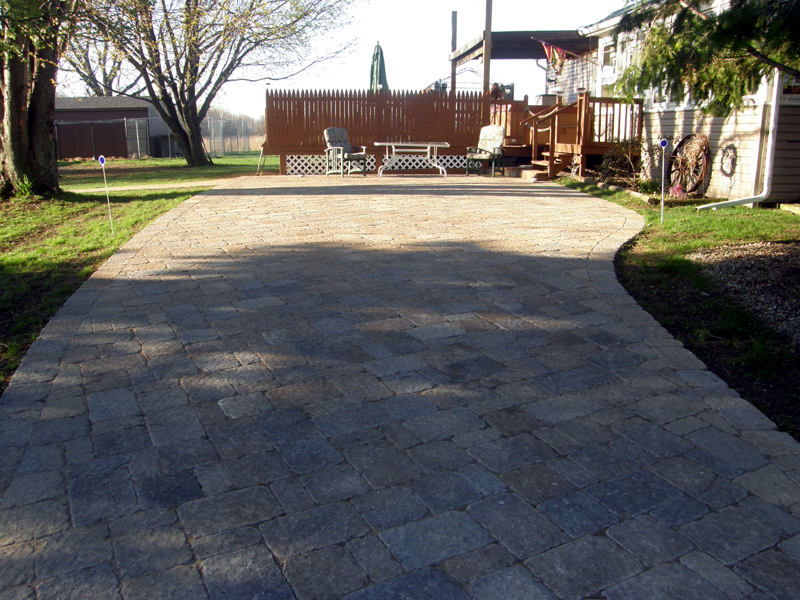 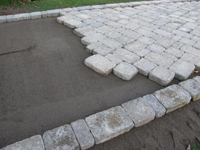 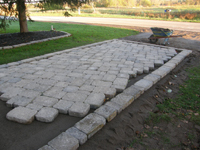 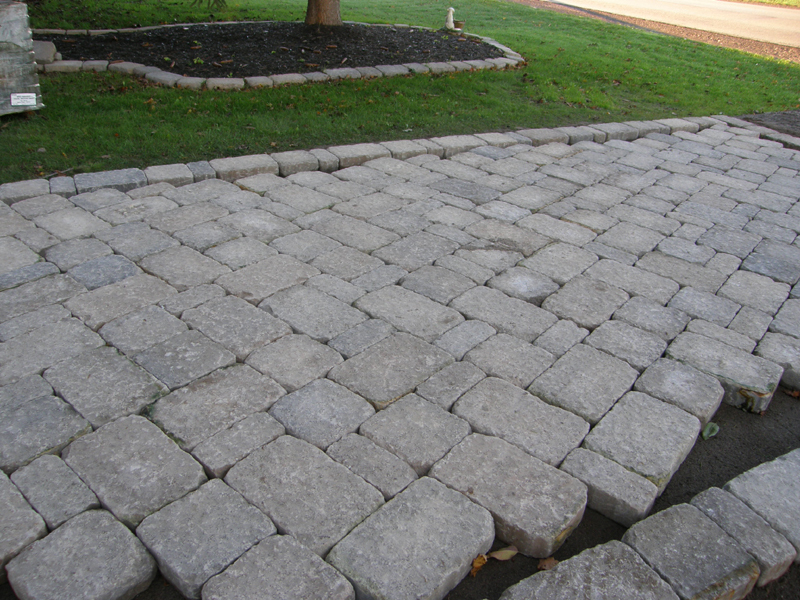 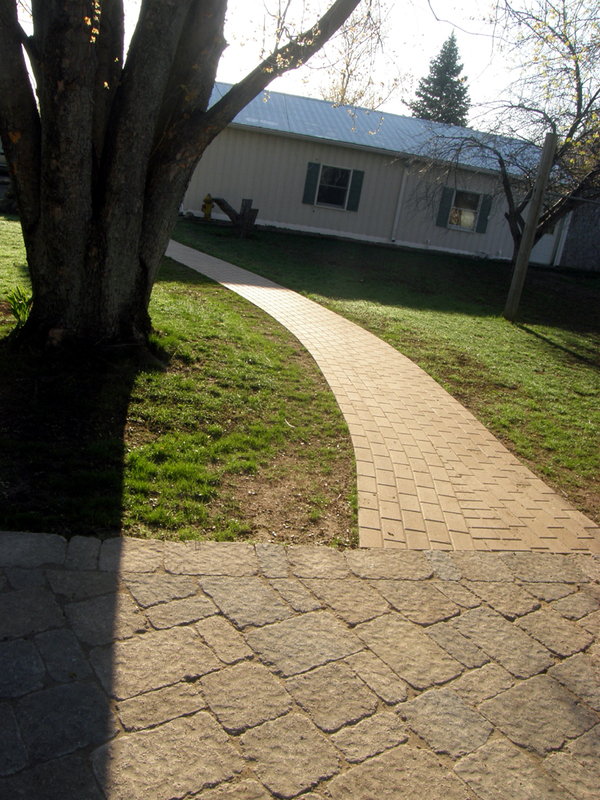 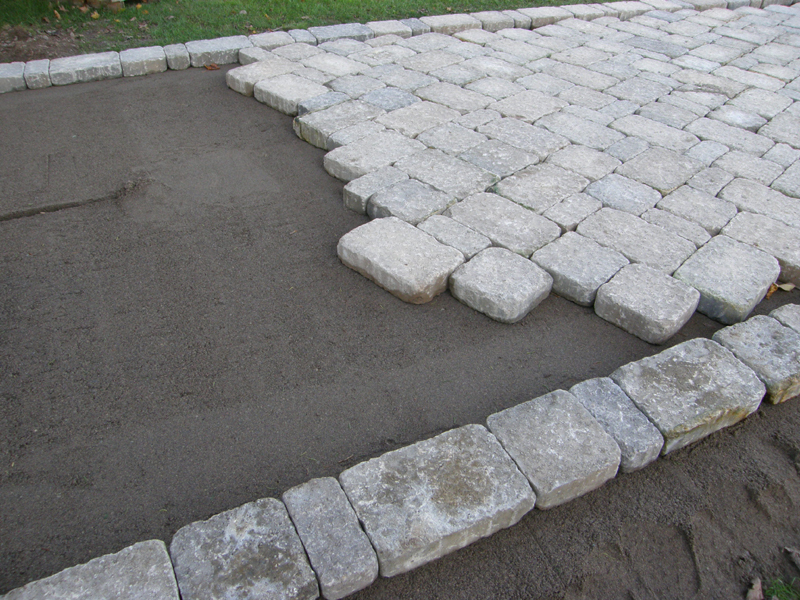 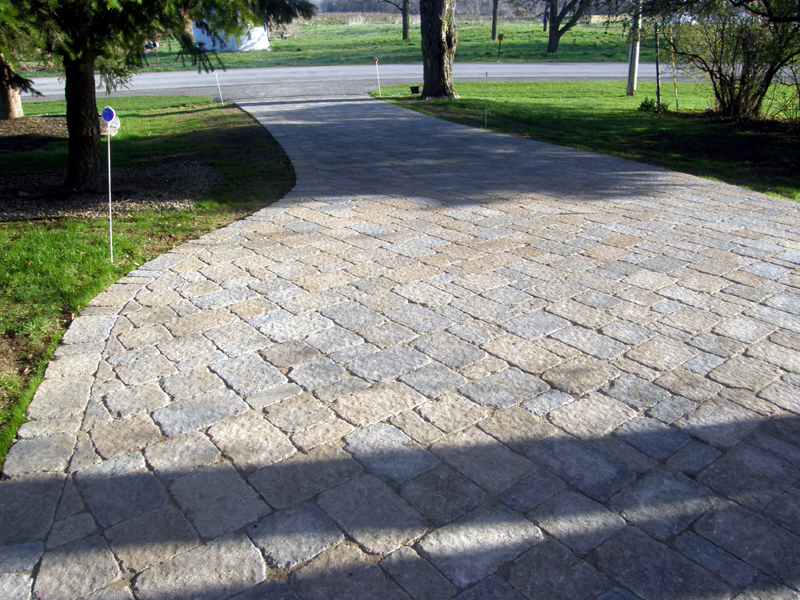 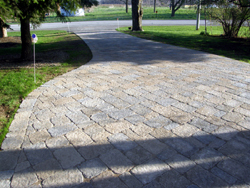 Paver driveways, what a concept! 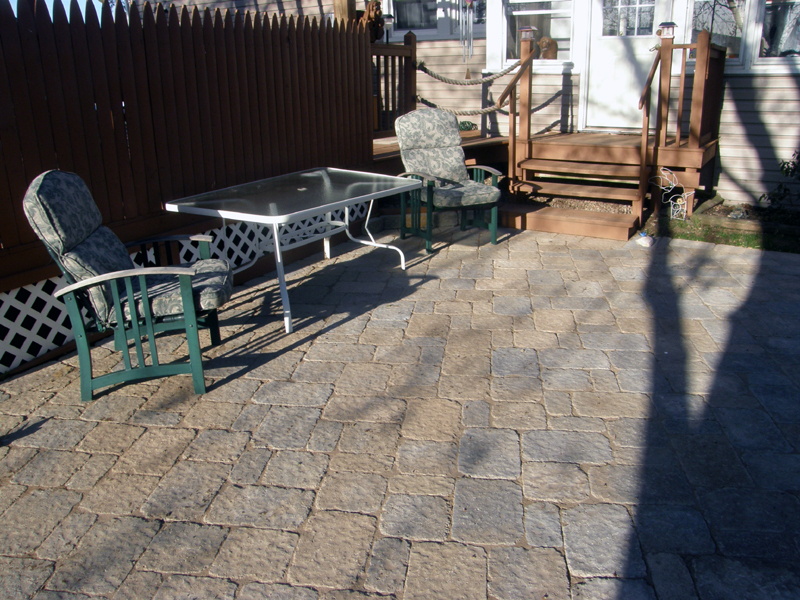 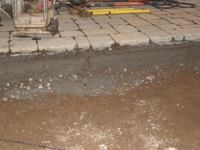 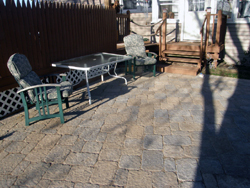 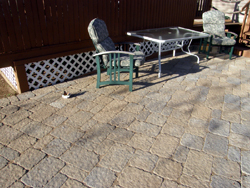 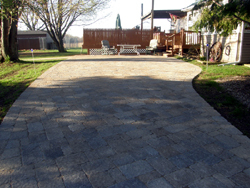 As more and more homeowners grow tired of looking at their ugly, stained or cracked concrete, dirt or asphalt driveway they are turning to beautiful, durable and maintenance free driveway pavers. 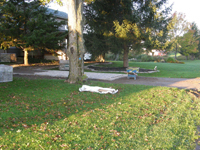 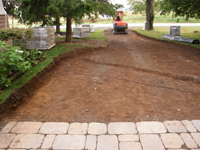 The company Jim chose to install his new paver driveway was John Welch Enterprise, Inc., a premier landscape/construction company renowned for attention to detail, professionalism and an unbeatable quality guarantee. 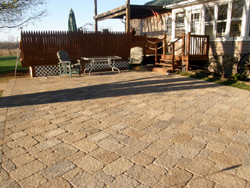 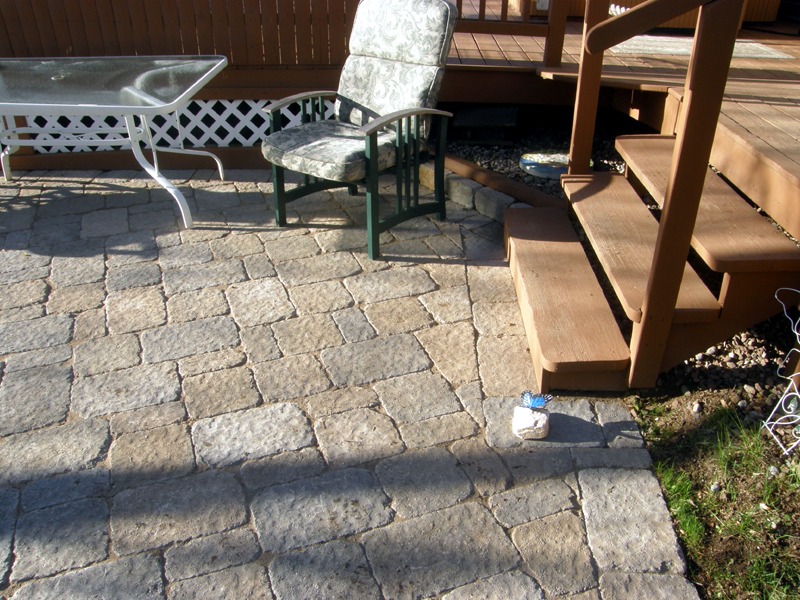 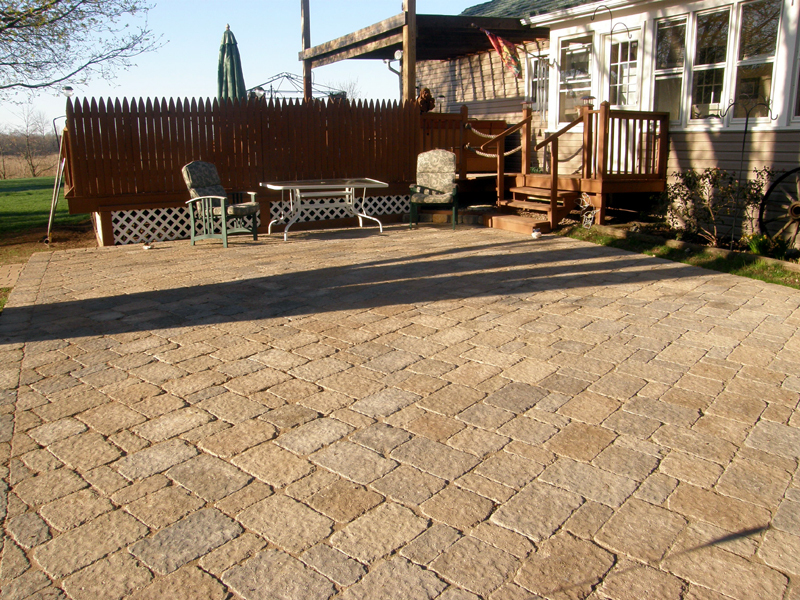 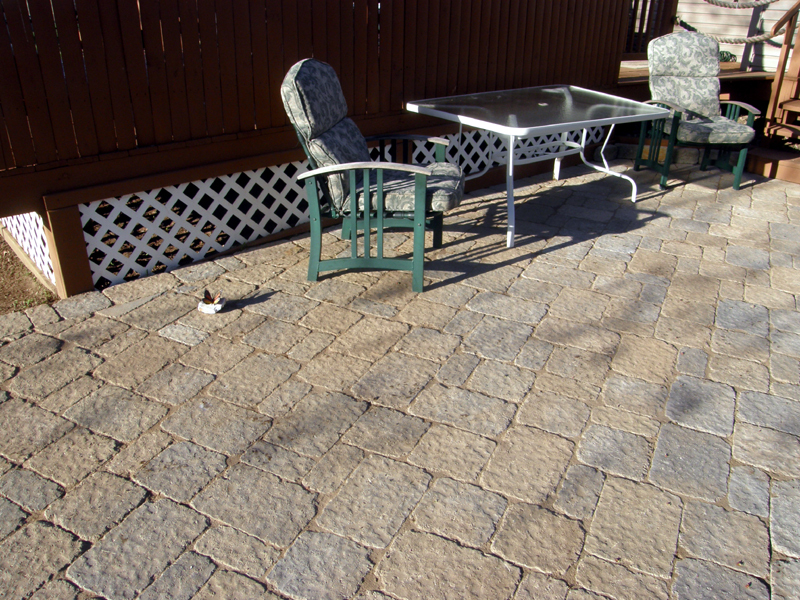 Jim chose his beautiful pavers at Northern Stone & Design Center. 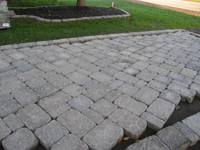 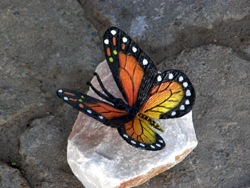 Northern Stone features beautiful designs and the pavers are all on display to find the one right for your project. Northern Stone is constantly adding to their outdoor showcase, you just cannot imagine the possibilities until you visit them. 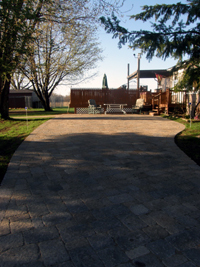 Believe me, it is worth the drive! 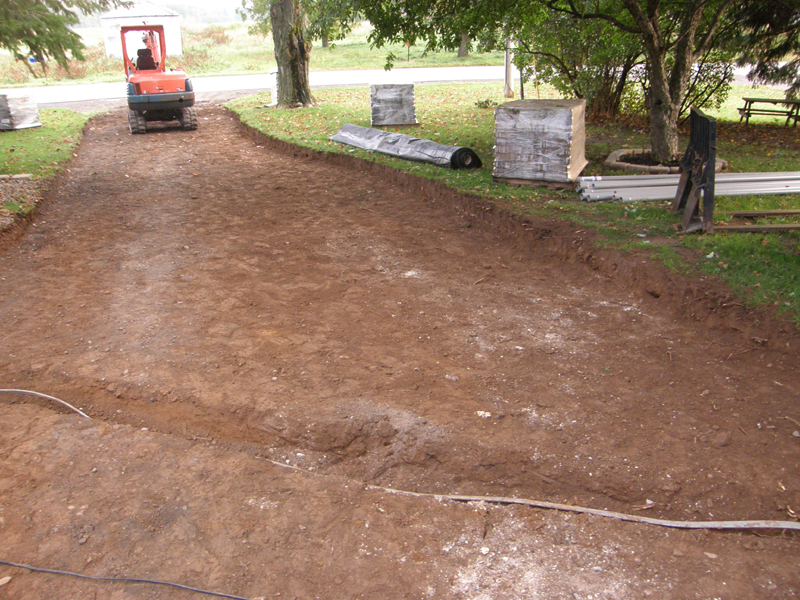 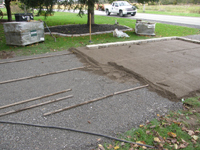 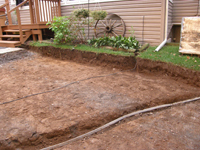 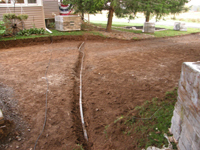 Jim's new paver driveway will create opportunities for landscaping focal points, and significantly increase the value of his property.